A fun piece to add to any outfit. A fun piece to add to any outfit. Crafted in organza material that is fully lined, Oasis Outer comes with satin trimming and hook fastener along the bodice. The fun leaves patches is perfect for the South East Asian all-round summer weather. 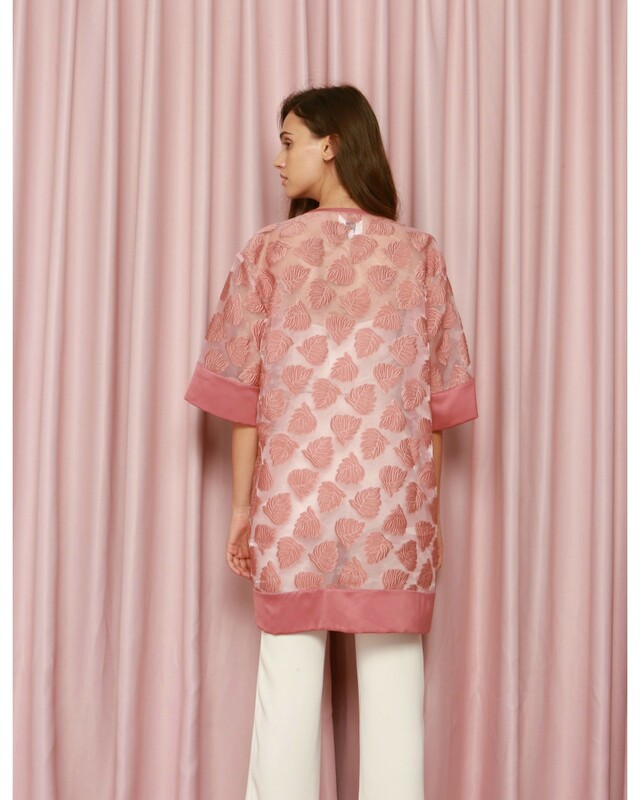 Oasis Outer is available in: Dusty Pink, White, Cloud.